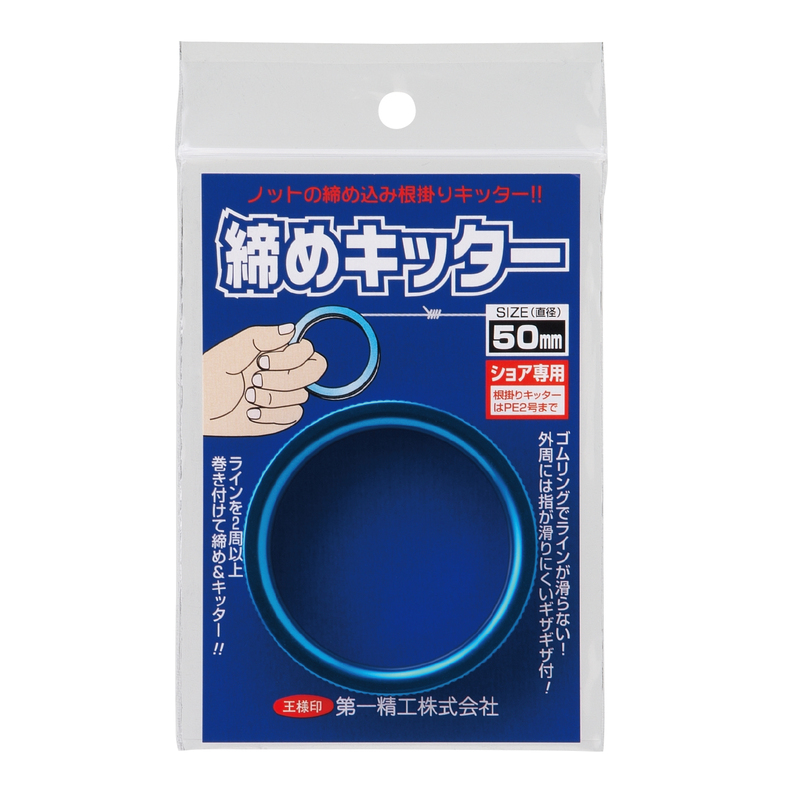 Product Details｜Dai-ichi Seiko Co., Ltd.
Used for knot tightening and snag cutting. The rubber ring prevents the line from slipping. Ideal for lure fishing, including sea bass fishing, using PE lines and Egi (wood lures). ● Size: Outer dia. : 50 dia. × 10 mm; inner dia. : 39.8 mm dia. Ideal for knot tightening and snag cutter during lure fishing using PE lines. Solid aluminum of 50 mm in diameter is machine cut and processed with blue anodized treatment. 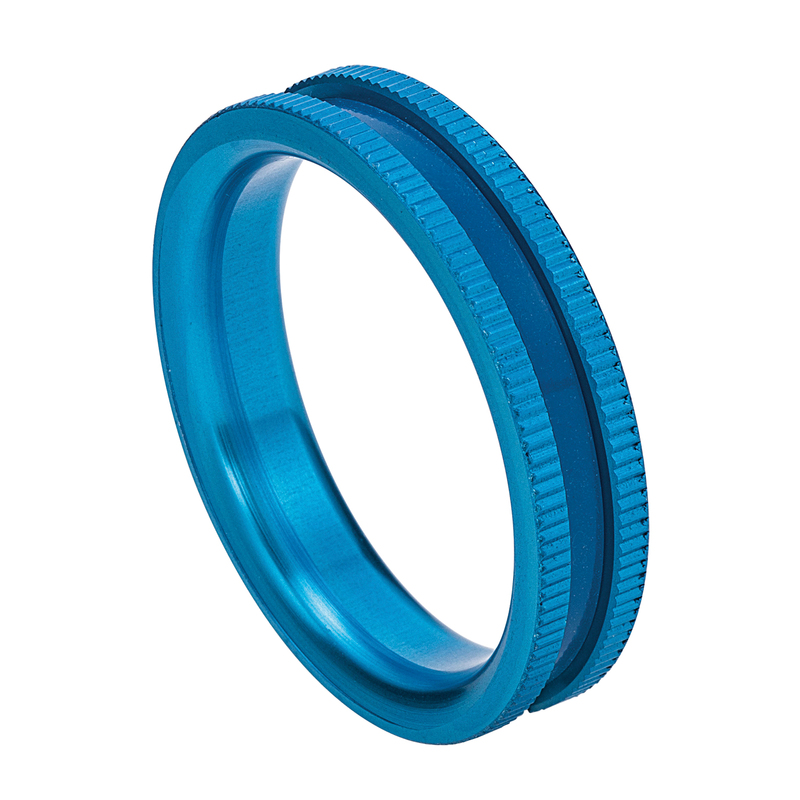 The rubber ring prevents line slippages, and the outer circumference is processed with jagged treatment to prevent fingers from slipping. Shime Kitter: Wind the line around the Shime Kitter twice. Snag Kitter: Do not attempt to cut the line with the power of your arm. Cut it by putting your weight and moving backward. Also ideal for the connection of PE and leader lines by using two fingers each wearing a Shime Kitter. We offer EMS and International e-packet for shipping. Server too busy. Please try again later.